Starting and finishing in Christchurch this tour begins the world famous Tranz Alpine Scenic Train from Christchurch to the wild West Coast. The West Coast Glaciers are next and two nights allow time to enjoy one of the many guided walk options or scenic flights. Then to Queenstown for two nights with time to relax or enjoy the countless activities here. You finish with a journey along the base of the Southern Alps, staying in the magnificent Mt Cook National Park before returning to Christchurch. Leaving Greymouth today you will head south to Franz Josef and Glacier Country. Pass through Hokitika and be sure to take a detour to the spectacular Hokitika Gorge, a turquoise coloured river surrounded by native bush-clad cliffs. Continue on through Ross, a historic gold mining town where several buildings still remain intact. 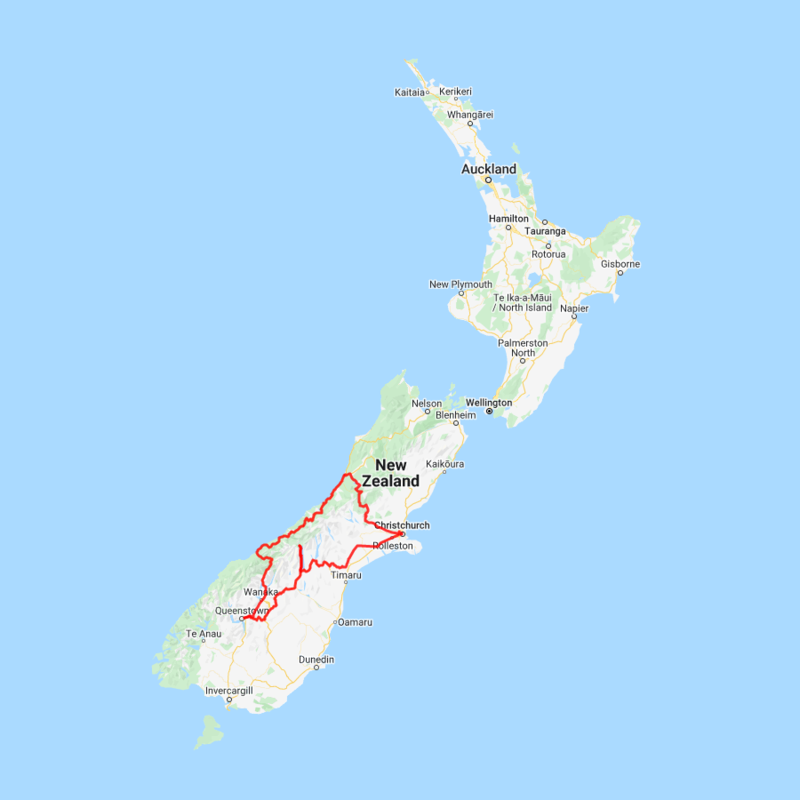 As you travel further down the coast you’ll also go through Hari Hari, the town where Guy Menzies, the first person to fly solo over the Tasman crash landed. Follow the coast through several small towns before catching a glimpse of the Franz Josef glacier as you arrive into the town centre. The Rees Hotel is located on the shores of Lake Wakatipu, just a short drive from the town centre, or take a complimentary shuttle. The rooms are spacious and beautifully laid out with a lounge area that opens onto a large tiled balcony. The onsite award winning restaurant, True South, holds an impressive wine cellar and is a fabulous fine dining experience. Today you will head through the Kawarau Gorge and across the Kawarau Bridge - a popular bungy jumping location. Continue through the Gibbston Valley and leave time to stop at one of its many vineyards for a tasting. Once you exit the gorge you'll arrive in the orchard town of Cromwell, known for its abundance of fruit growers. If you're a foodie at heart, we recommend taking a side trip to Bannockburn for a complete food and wine experience at one its many award-winning wineries and restaurants. Cromwell itself sits at the head of the Kawarau Gorge and the old historic town is well worth the visit. Completely submerged when the Clyde Dam was built and Lake Dunstan established in 1992, the remnants of the old Cromwell town provides a unique snapshot into this areas history. Head over through the Lindis Pass, one of New Zealand’s highest roads, with the summit reaching 971 metres. It's tussock covered hills are a barren but beautiful sight as you descend into the Mackenzie Basin. 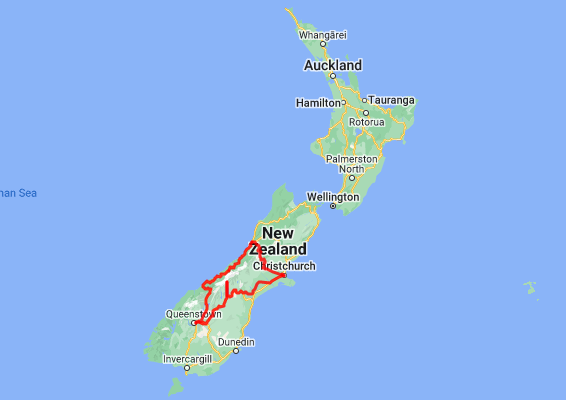 You'll go through the towns of Omarama and Twizel - the last stops before you arrive at Lake Pukaki and take the Mount. Cook Highway to arrive in the small village.